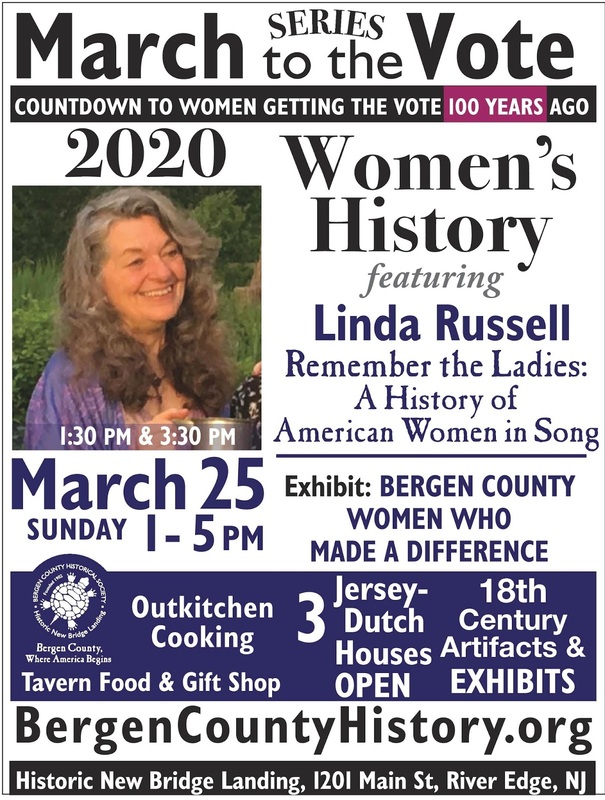 NJ Weekend Historical Happenings: 3/24/18 - 3/25/18 ~ The History Girl! On Saturday at 1:30 pm, the American Labor Museum proudly welcomes the general public to a book reception and signing event with Mark Torres. Mr. Torres will discuss his recently published children's book, Good Guy Jake/Buen Chico Jake (Hardball Press, 2017). Copies of the book will be available for purchase. Light refreshments will be served. In his book, Mr. Torres tells the story of a sanitation worker named Jake, who has repaired broken toys he pulled from the trash on his rounds and given to children at the local shelter. When Jake is fired for breaking city regulations, his union takes the case to arbitration. Mr. Torres asks his young readers to imagine, "Will Jake win his job back?" The American Labor Museum is headquartered in the historic Botto House National Landmark, located at 83 Norwood Street, Haledon, NJ. 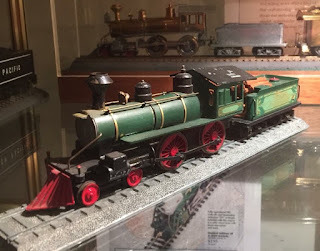 The museum's hours of operation are Monday through Friday 9:00 am - 5:00 pm. Tours are offered Wednesday through Saturday from 1:00 - 4:00 pm or by appointment. 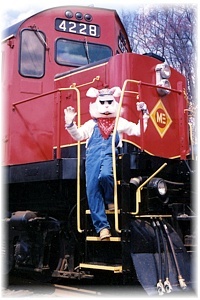 For more information, call 973-595-7953, visit www.labormuseum.net or e-mail labormuseum@aol.com. 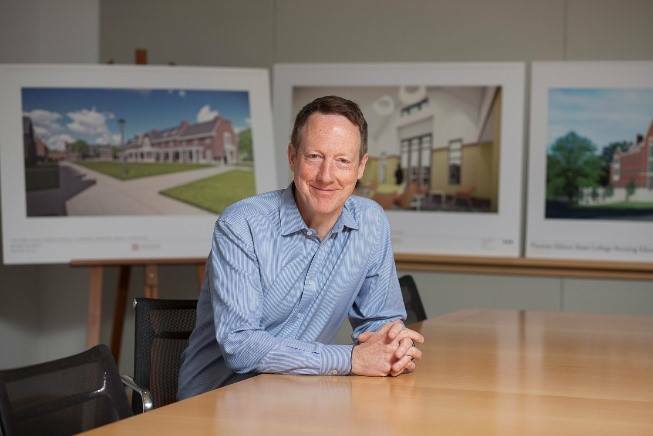 On Saturday from 1:00 - 3:00 pm, John Hatch, FAIA, will discuss the long-term redevelopment of the John A. Roebling’s Sons Company factory buildings in the City of Trenton. Topics will include the wide range of historic preservation and redevelopment projects that have already taken place; what’s worked and hasn’t worked at the Roebling Complex; and his most recent experience as architect and developer of Roebling Lofts and Roebling Center. The impact of this important and historic site on the City of Trenton and the region, as well as future plans, will also be discussed. We have all seen the films about the famous artists, the successful artists, but does anyone really look at the so called 'failed artist’? Or the struggling artist? Join the Passaic County Historical Society at Lambert Castle on Saturday as Katrina Delmar presents her trans-generational experimental documentary film about her artist father William Campbell. An Artist Working as a Letter Carrier – William P. Campbell is a personal, sometimes funny – sometimes heartbreaking film, it explores themes around art, failure, love, family, and class. 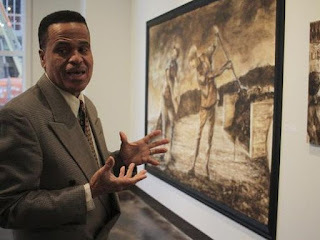 Postman/Artist William P. Campbell painted life on the streets of Passaic, New Jersey as he saw it: under smokestacks and red brick factory fortresses, at the river’s edge, where nature met industry, as rails gave way to highways, as industry gave way to poverty. From the late 1950s to the early 1990s, Campbell painted extraordinary out of ordinary. Doors open at 7:00 pm. Screening will begin at 7:15 pm. 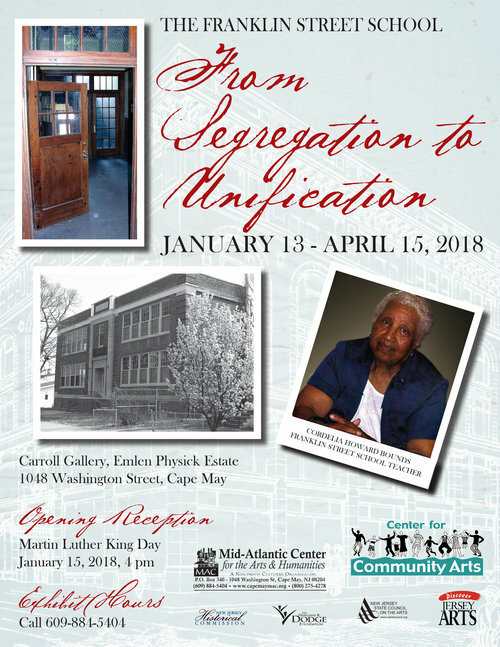 Please join us afterward for light refreshment and a final opportunity to view the Urban / Rural: Landscapes of Passaic by William P. Campbell exhibition. This event is free admission but donations are requested. Fire Control Tower No. 23 on Sunset Boulevard is New Jersey's last freestanding World War II tower, part of the immense Harbor Defense of the Delaware system known as Fort Miles. After an award-winning restoration in 2009, visitors can climb to the 6th floor spotting gallery while learning about the homeland defense efforts during World War II. The ground floor of the tower, the All Veterans Memorial, and boardwalk interpretive panels are fully accessible. Reopening for the season on Saturday and Sunday, 12:000 noon - 3 pm. Admission is $6 for adults, $3 for children (ages 3-12) (One child free with paying adult). The World War II Lookout Tower is located on Sunset Boulevard in Lower Township, near Cape May Point. Sponsored by the Mid-Atlantic Center for the Arts & Humanities (MAC). For more information, call 609-884-5404 or 800-275-4278 or visit www.capemaymac.org. When the March winds blow, fly a kite! Stop by this weekend to try your hand at making an old-fashioned kite. You supply the creativity and a bit of manual dexterity to go with the paper, string, sticks, and glue we will have available (If you want to try to fly your kite when it’s complete, please bring a spool of kite string). On Sunday at 1:30 pm, learn about the modes and manners of the 18th century, try on costumes based on clothes worn in the 1770s, and make your own hat to bring home. Program is for families with children ages 8-12. Fee: $7 per child. This event will be held at the Old Dutch Parsonage, 71 Somerset Street, Somerville, NJ. Program is for ages 8-12; parental supervision is required. All adults attending must be accompanied by a child. Reservations are required for this program and space is limited. Call 908-725-1015 or e-mail whouse3@verizon.net to register. New Jersey is famously the home of Thomas Edison’s “invention factory” where he patented the phonograph, the light bulb, and many more innovations. Less well known are the New Jerseyans who created the first drive-in theater or those who cultivated blueberries or whipped up the first ice cream cones and M&Ms. The Prallsville Mills speaker series surveys all of these innovations with author Linda Barth at 2:00 pm on Sunday. 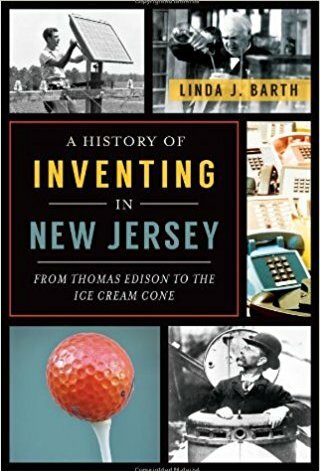 Barth will explore groundbreaking, useful, fun and even silly inventions and their New Jersey roots. This event is free and open to the public. Other iconic aspects of American life, like Bubble Wrap, the boardwalk, the Band-Aid, and even professional baseball itself started in New Jersey. Barth notes that modern life would be a lot harder without the vacuum cleaner, plastic, and air-conditioning, and the many other important advances in medicine and surgery were developed here. A lifelong resident of the Garden State, Linda Barth has written two books on the D&R Canal and Hidden New Jersey. A History of Inventing in New Jersey: From Thomas Edison to the Ice Cream Cone was released in 2013. With her husband, she has published The Millstone Valley Through Time and Somerville Through Time. She has also contributed to the Encyclopedia of New Jersey. The Prallsville Mills complex is located at 33 Risler St, Stockton, NJ and is considered a significant example of early American industrial architecture that was included on the National Register of Historic Places in 1973. Today, the Mill proudly features cultural and historic events for the entire community. For more information, visit www.prallsvillemills.org. Photographer Phil Buehler and Woody Guthrie's grand daughter, Anna Guthrie Canoni, will share stories and photos from the folk singer's days at Greystone Park Psychiatric Hospital on Sunday at 2:00 pm at Acorn Hall. Guthrie, who suffered from Huntington’s disease, a degenerative neurological disorder, was a patient at Greystone from 1956 through 1961. He lived in Ward 40 and referred to it as Wardy Forty. It was here that a young and unknown Bob Dylan met his idol and a musical torch was passed. Buehler has dedicated much of his life exploring the ruins of 20th century America. While visiting the Greystone site, Buehler stumbled upon photographs and negatives of Guthrie as a patient. He reached out to Guthrie’s daughter, Nora, at the Woody Guthrie Foundation & Archives, and with Guthrie’s case number in hand, Buehler began a 10-year odyssey that resulted in a book, co-authored with Guthrie Canoni, Woody Guthrie’s Wardy Forty: Greystone Park State Hospital Revisited. Buehler and Guthrie Canoni’s presentation will include untold and inspiring stories of Woody’s life at Greystone. Images of the decaying hospital are juxtaposed with Guthrie’s letters, family snapshots, home movies and recollections of his friends, family and doctors. A book signing for Buehler and Guthrie Canoni’s Wardy Forty: Greystone Park State Hospital Revisited will follow their talk. Acorn Hall is located at 68 Lafayette Avenue, Morristown, NJ. As seating is limited, RSVPs and advance ticket purchases are strongly encouraged. Tickets are $12 for adults; $10 for seniors; $7 for students; and free for MCHS members and children under 12. To RSVP, purchase tickets, or for further information, call 973-267-3465 or visit www.morriscountyhistory.org. Join us on Sunday at 2:00 pm at the Ocean County Historical Society, 26 Hadley Avenue, Toms River, NJ 08753, to enjoy an informative and entertaining talk by Dr. Richard Veit, Chair of the History and Anthropology Department at Monmouth University, as he tells about his research on NJ cemeteries and tombstones. From the earliest memorials used by Native Americans to the elaborate structures of the present day, Dr. Veit uses grave markers to take an off-beat look at New Jersey’s history that is both fascinating and unique. He describes burial places from High Point to Cape May and from the banks of the Delaware to the Jersey Shore to explain what cemeteries tell us about people and the communities in which they live. No admission fee. Donations are accepted. Refreshments will be served. Call 732-341-1880 to reserve your seat. For more information, visit www.oceancountyhistory.org.